Did you know RO water purifier is capable of removing dissolved salts present in the water? Yes, they do. And there are so many of them that you are bound to wonder ‘which is the best RO water purifier?’. Did you ever make the mistake of purchasing the first product that caught your fancy? But, you should be a lot wiser in choosing a best RO water purifier. As you and your family’s health depends on drinking clean and pure water. 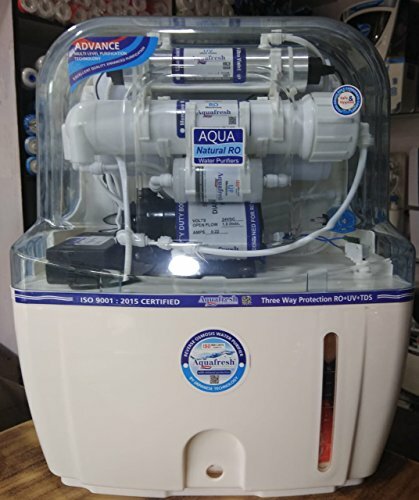 You can check out our detailed RO water purifier buying guide to know which type of RO water purifier is required for your home. There is nothing to scare you but the water you might be drinking might have TDS, contaminants like arsenic and lead. There are 8 majorities in India where more than half of the diseases are known for the waterborne disease like as typhoid, jaundice, and cholera. According to the stats, it was found that TDS levels are above allowable in many Indian areas like Bangalore, Mumbai and Delhi. Basically, nothing is exempted from pollution today. Everything from food to Air and Water is ridden with pollutants. God knows what we’d have done without RO water purifier! Thanks to these beauties we’ve been able to drink clean water. Every household today needs to install a RO water purifier. For ones who already have must take perfect care of its cleaning, moreover, they need to be replaced if they’re old and low on their functioning. With technical advancements that have made our lives a lot simpler over the years, RO water purifier and water filters are viewed as the finest purification system to date. The various filtering elements in RO purifier remove toxic elements like arsenic, copper, sodium, and lead. 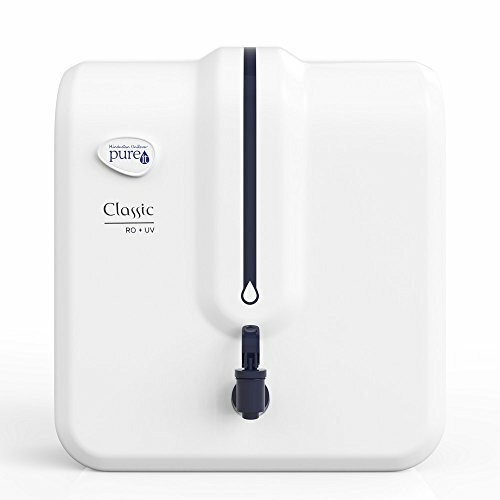 Besides this, the RO purifier also cleans out microorganisms and give clean drinking water, which is pure in taste, and perfect for your health. There are many factors that can aggravate the side effects such as age, health status, contaminant type, amount and how long the individual drinking the contaminant water. With the installation of the right RO water purification systems, these hazards can be prevented. For these reasons, all of us should turn to best RO water purifier to ensure that the water we are drinking is healthy and clean. Today the market is flooded with different brands providing different kinds of water purifier, with brand new features and amazing prices. 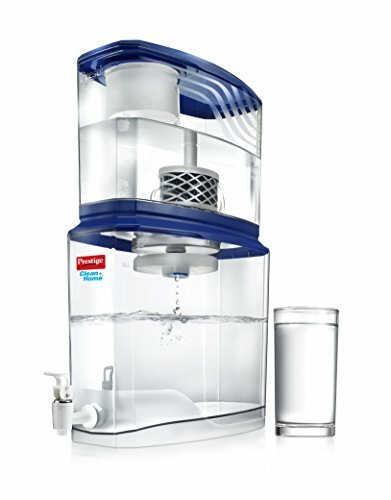 Before getting to the bigger picture and buying an RO purifier, you should know what exactly is RO and how does it work. How does an RO Water Purifier work? 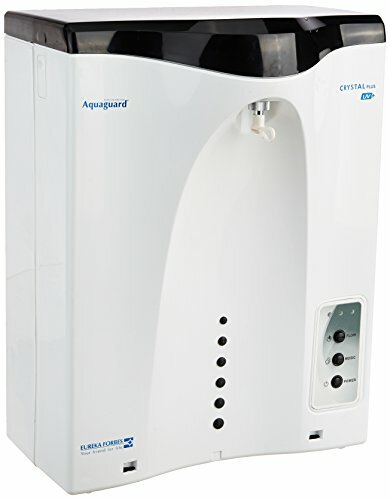 A Reverse Osmosis Water Purifier has a semi-permeable membrane to filter water. RO by name stands for Reverse Osmosis, which is a semi-permeable membrane that removes pollutants and impurities and converts hard water to soft water. Generally, water goes across the semi-permeable membrane from an area of less concentration to that having a higher concentration to balance the ratio of water to dissolved solids. The Reverse osmosis process utilizes water pressure to reverse this movement, entrapping contaminants with the membrane and forcing pure water through to the other side. RO water purifier is effective in containing all types of germs and multiple types of toxic contaminants. 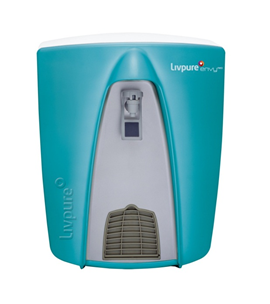 It is extremely essential to have a good knowledge of why you will need a best water RO purifier system at your home. Analyze for yourself! You just have to do is to complete your homework before you buy any. This guide is just a headstart! At the beginning of your research make sure that you know about your water condition so that you can get a right purifier. So go ahead and find your fit! The patented Mineral ROTM expertise from Kent offers the users with twin fold purification through RO + UV + UF, which eradicates even the liquefied impurities like the harmful salts and chemicals. The TDS regulator preserves vital and natural minerals in the water, which by this means provides you totally pure, nontoxic & tasty water to drink, which is perfect for drinking. 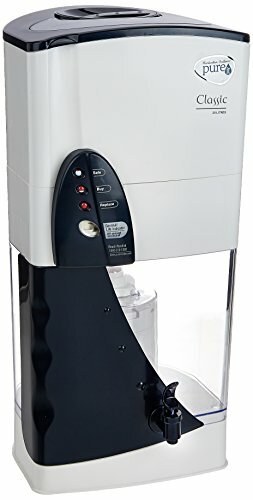 Apart from that, this RO Water Purifier provides easy wall mount installation along with a large 9-liter water holding capacity so that you may store huge amount of pure water at once. Blue Star is India’s leading company in the product range of commercial refrigerators and air conditioners, which now brings you Stella. 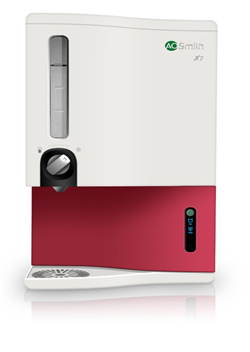 Stella is the primary RO+UV water purifier that provides both hot and cold water in the country in the purified form. 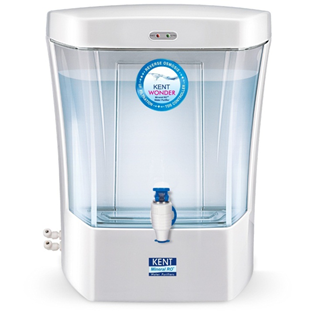 This has been introduced by Blue Star for your house and is capable of doing above just purifying water. It provides you both hot & cold water with which you may prepare soups, lemonades, and other beverages with just a mere touch of a button. Combine style with your modular kitchen as well as pureness into your life by having this Designer RO water purifier from Livpure. Match your furnishings and be healthy through its 5-stage decontamination scheme and a large storage volume of 8 Liters. Apart from the purity, it provides you speed by purifying 15 Liters of water every hour. It further has a convenient shutter tray for filling the water bottles and taste enhancer. Don’t be afraid to choose this unit since it comes from India’s largest company-owned RO service network. Blue Star brings you the Majesto RO Water Purifier, which makes sure that you get the purest form of water that tastes good with the Aqua Taste Booster technology. 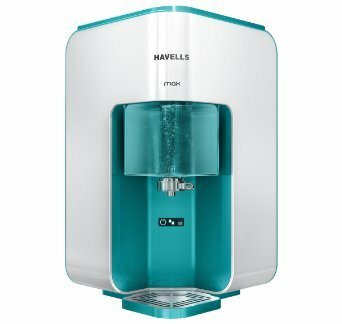 This is a water purifier that comes in with a whole range of advanced technologies such as the RO+UV to offer the well-purified water. 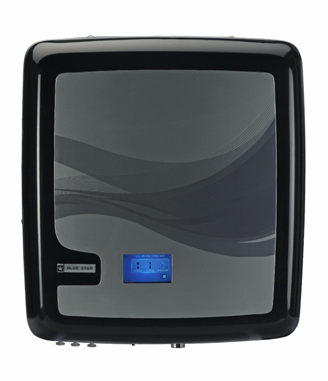 It further has an 8 Liter water holding capacity, tank-full light indicator, and the options for safe installation anywhere. Apart from that, it has a look and makes that is going to go well with your modular kitchen. 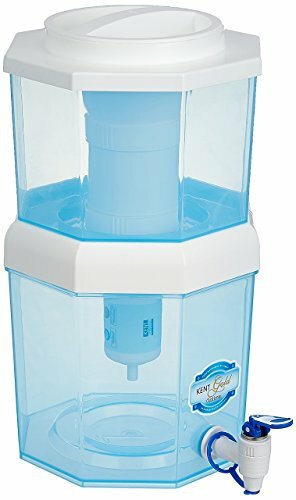 This Water Purifier comprises of a 6-stage water purification scheme that clears the each and every kind of water. This RO purifier comes together with an MF film to makes sure that all the residues and dust elements are removed. The numerous layers of the cleaning process provide pure and tasty drinking water. The HUL Pureit comprises of an exceptional slender body which is stress-free to install. 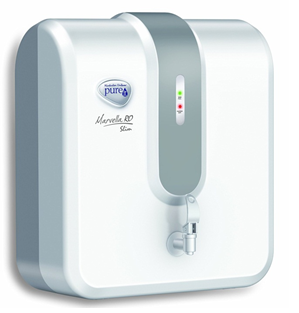 The HUL Pureit Marvella has been made out of robust plastic, thus, the model is going to be long-lasting as well. 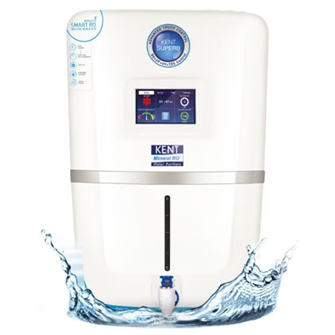 By buying the A.O.Smith X7 RO water purifier you are going to get totally pure RO water through no circumventing of RO membrane that makes sure that you obtain the healthiest form of consumable water. The A.O. Smith X7 comprises of a patented lateral stream RO film having the Silver Charge Membrane Technology which doubles the purification of water. This water sterilizer has been intended and shaped prudently to counterpart your kitchen furnishings. Livpure Glitz Plus provides a free of cost preventive conservation service along with a membrane lifespan enhancer. It also comprises of a light indicator to provide purification & tank full indication. 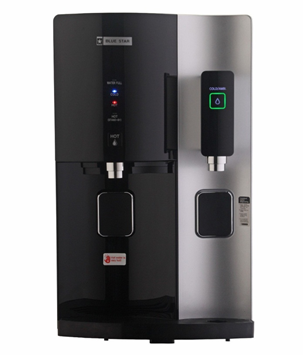 Apart from that it also has a taste enhancer and the 6-stage purification system provides completely pure water. The Livpure Glitz only provides the option for wall-mounting and is not a unit to be placed on a tabletop. The price is economical and works pretty well for any kind of household. 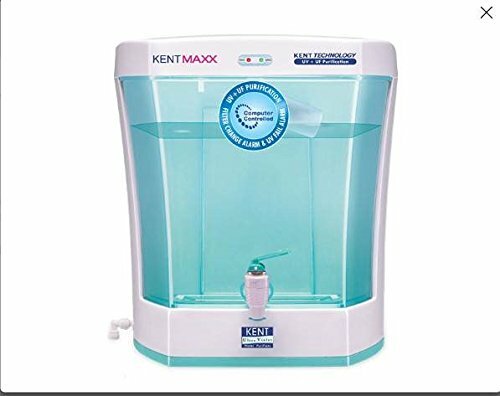 By means of the RO+UV+UF filtration system, this amazing RO water purifier from Kent eliminates even the impurities that have been dissolved in the water namely salts, chemicals, corrode, and much more. 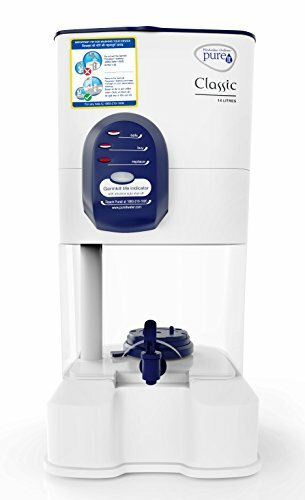 Having this water purifier installed, you are going to obtain the completely safe consumable water that is good in taste since it comes with the TDS regulator which preserves the vital minerals in the water. 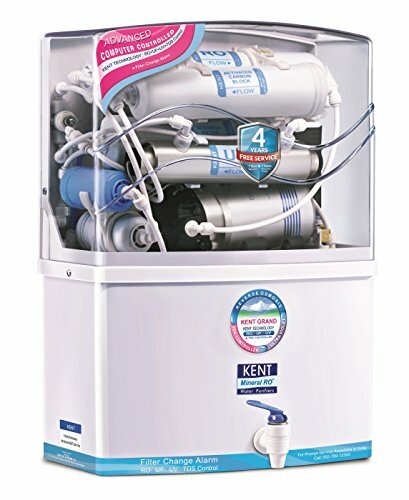 This Kent Wonder RO water purifier comprises an activated carbon, residue, UF, and post carbon filters that make sure that you get the pure drinking water. 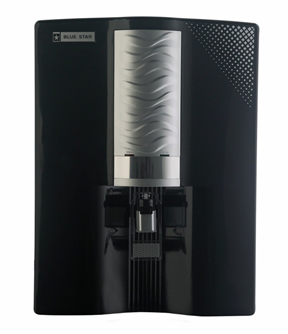 The Blue Star Edge RO water purifier is another addition into the market from the company with amazing features like the advanced touch screen panel. Along with the cool and stylish design and the touch panel, this RO water purifier offers you the best water purification through the RO+UV expertise. Also, this unit comes with features like the filter change alerts, speech assistance, electronic water dispensing and a lot more to make your life effortlessly easy and comfy. 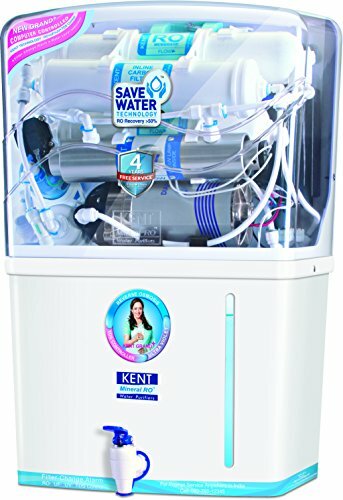 After providing all the necessary details about the Top 25 Best RO Water Purifier available in the Indian market we are going to provide you a suggestion so as to which RO water purifier you must buy for your house so as to make your selection a little easier. 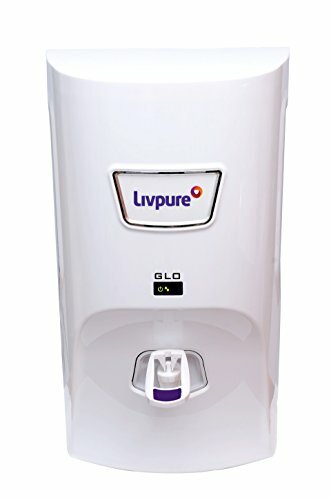 The Livpure Envy Neo RO+UV Water Purifier is the best choice for your kitchen in every household as it offers features such as the 5-stage purification, all kinds of impurity removing filters, and a sleek and stylish design to complement any type of kitchenette, and a large 8 liters storage capacity along with a decent discounted price. 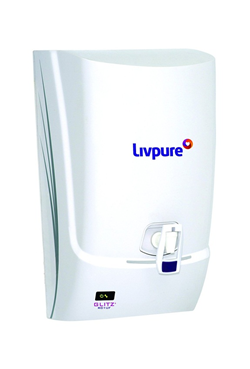 So, buy this amazing water purifier from Livpure and be a smart buyer online. 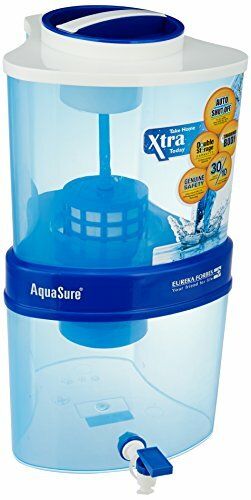 This Water Purifier Buyer’s Guide is going to assist you in identifying a decent water purifier for use at home or in office. So, go through it all and get to know the water purifiers a bit more, which will definitely help you find the best one on the market. What are the Components to Consider While Buying a Water Purifier? 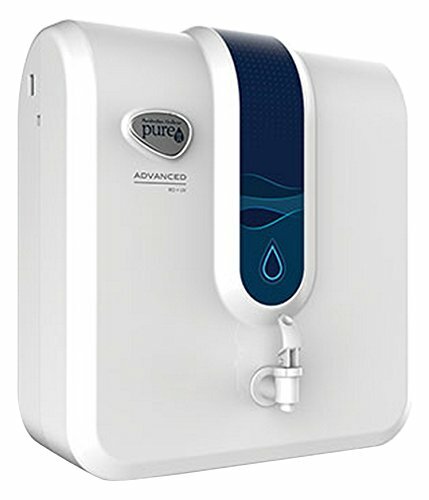 When is the Gravity Based Water Purifiers Useful?